The Spring Equinox is the beginning of Persian New Year. To celebrate, I observe a personal ritual of being a vegetation during the first month of spring, with the first week of which being the vegan period. Besides eating countless number of Falafel sandwiches and loads of red-sauce cheese-less pasta, I also cook many Indian dishes. Indian dahls which are served with Paratha, is a particularity favorable option. 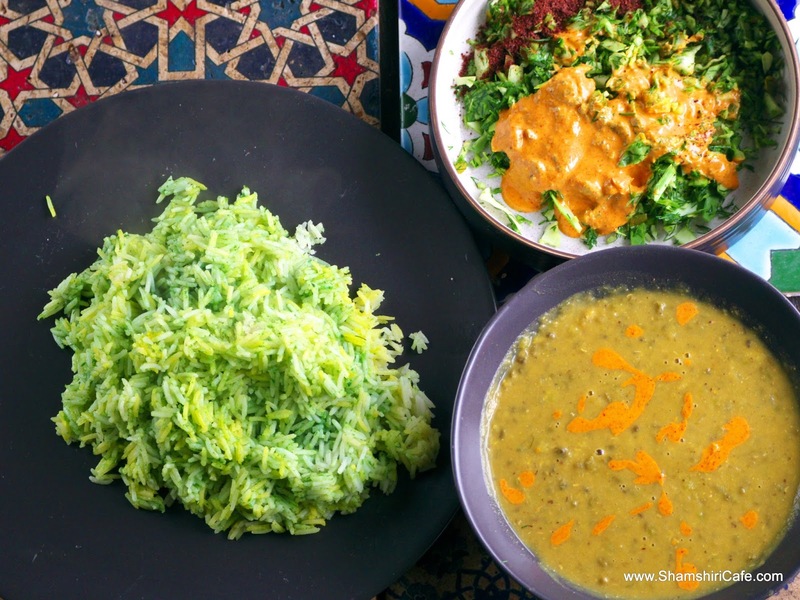 Here is a recipe for a mung bean and almond dahl I made for this year's vegan week. Mung bean takes much longer than split peas to cook. It is therefore much preferred to soak mung bean pulses in water overnight. 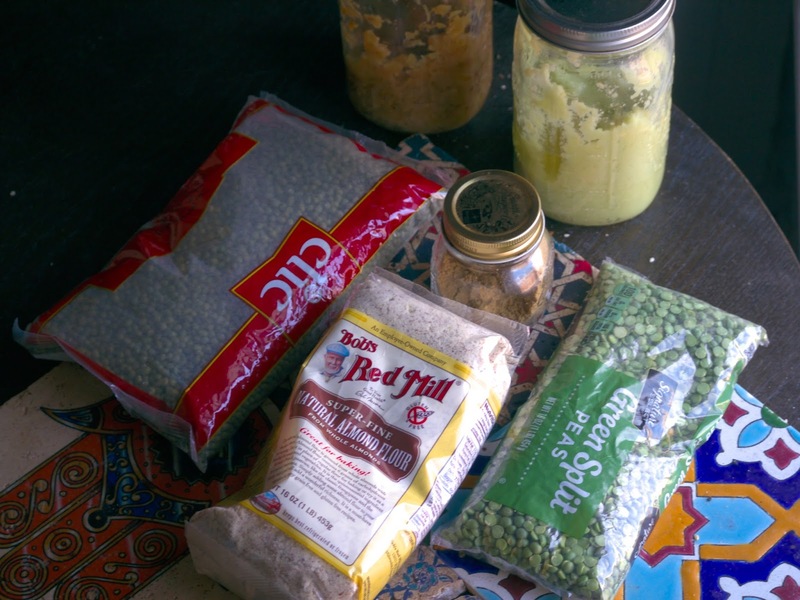 Otherwise, add the mung beans and the almond meal to a large pot. Add enough water and cook until the beans are almost cooked (pulses should be cooked but not falling apart). If soaked beans are used, add the peas at this stage. In the meantime make the masala by heating up the caramelized onions in a saucepan. If prepared caramelized onions are not used, make some by using a very large yellow onion. Add the garlic, ginger and cook for one minute. Add all the spices and toast in the oil for another minute. Add the hot sauce and a dash of water (to bring all the ingredients together). 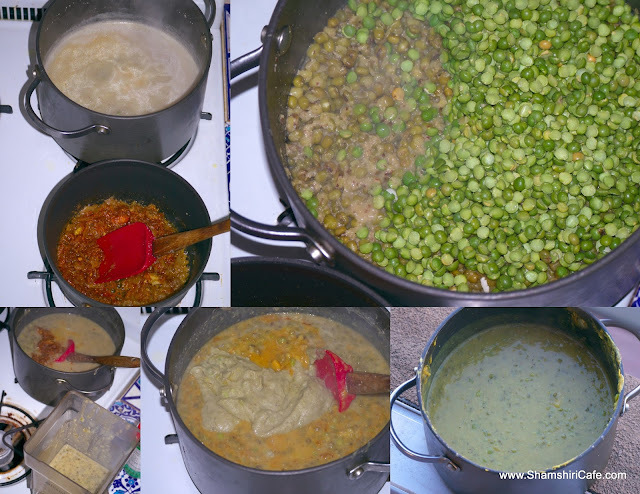 To the mung bean and almond pot, add the peas and cook until both the legumes are completely cooked, with their pulses starting to fall apart. Add two cups of the soup to a blender and finely puree. Return the puree and the masala to the pot and heat for five minutes. Balance the taste by adding more salt, pepper, and vinegar, if need be. 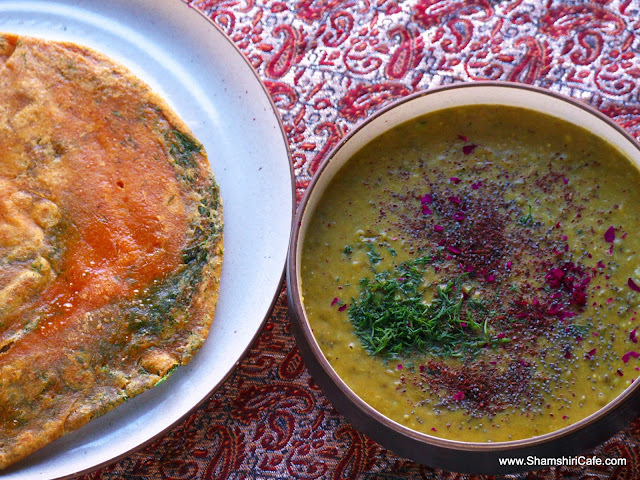 The soup on the first picture of this post was severed with a Kashmiri chili and dill Paratha. In the above picture, it was served with cilantro-lime rice and a salad, dressed with Anba tahini.